In most households, the boiler is used on a daily basis. Even in the summer, when central heating is not necessary, hot water most definitely is! So when something goes wrong with your boiler, or it’s not performing as it should, it can become a bit of a nightmare! Here at Charter Heating, we are leading boiler, heating and gas experts. As a result, we have produced this guide to the 3 most common boiler problems. One of the most common boiler problems is the build up of limescale within the boiler itself, or the wider central heating system. Limescale is made from calcium and magnesium ions, that are left behind once the water from the mains has been heated, and evaporated. These ions can form clumps, and stick to surfaces. Such as the lining of pipes, and the heating element within the boiler itself. As a result, your boiler will start to emit a strange clunking or whistling noise, which is where the name “kettling” comes from. Despite the noise being irritating, the noise itself isn’t actually the problem. The ions cause blockages, and can prevent your boiler from working as efficiently as possible. Which means that you will be using more electricity for what can be a mediocre result. Your radiators may not heat up as much, and water won’t get as warm. Eventually, the limescale can lead to a full boiler breakdown! Your boiler may suddenly stop providing hot water or heating. You can check out our guide here, for more information. In general, a drop on water pressure is caused by a leak somewhere in your central heating system. And this will result in water that won’t get hot enough, and radiators being under-heated too. You might even notice a change in water pressure from your shower or taps. Because this is often caused by a leak, you should hire a professional once you notice any changes. 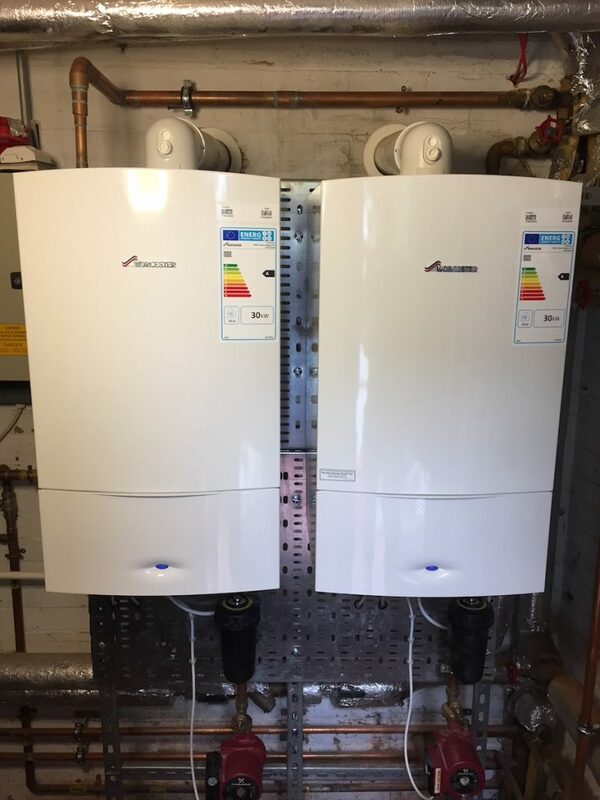 For more information, or for professional solutions to any boiler or heating problem, get in touch with the experts today, here at Charter Heating.